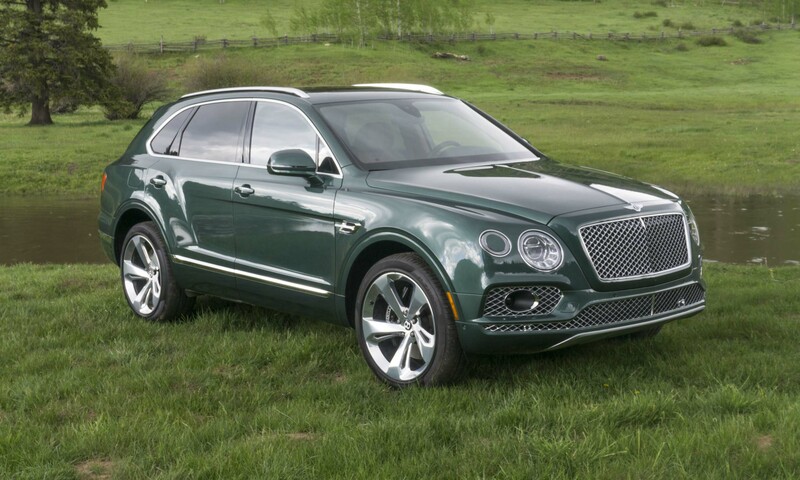 About a year ago, Bentley expanded its lineup to include an all-new luxury SUV, the Bentayga. The idea of a sport-utility vehicle emanating from this legendary British marque seemed like sacrilege to some, but the big Bentley quickly became the brand’s best-selling model. 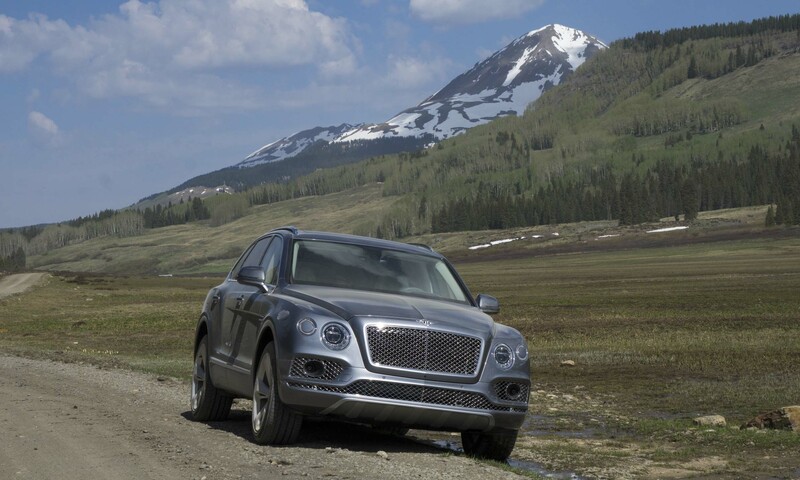 To get a better idea of what the Bentayga is all about, we attended a press event where a Bentley SUV would be in its element — the luxurious Dunton Hot Springs resort near Durango, Colorado. If you drive a typical SUV such as a Ford Explorer, you go to a campground. 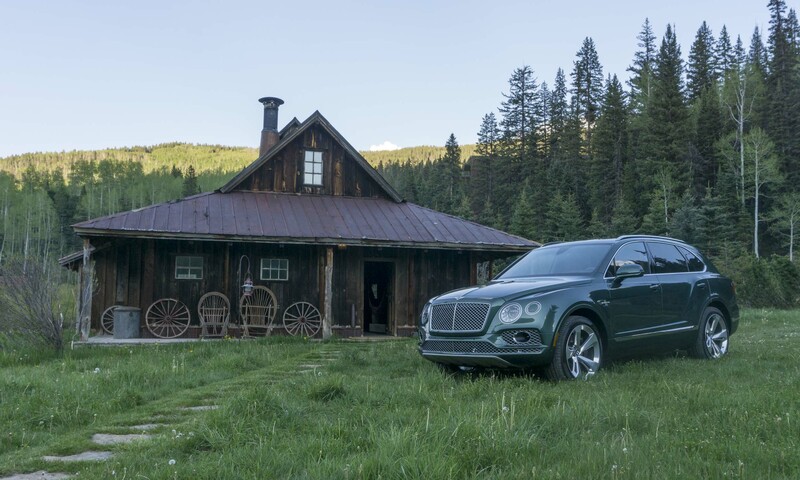 If you drive a Bentley Bentayga, you rough it at Dunton Hot Springs. What is now an exclusive resort set in a beautiful alpine valley, Dunton Hot Springs was once a mining camp in the late 1880s. The small town of Dunton grew through the early 1900s to around 300 people, but by 1918 the mines and the town had been abandoned. The ghost town had been visited periodically by hikers passing through the area, but was ultimately purchased in 1994 by German business magnate Christoph Henkel. Rather than create something new, Henkel kept the feeling of the original town — the restored cabins retain as much of the original structures as possible, but with additional luxury amenities such as comfortable beds, modern plumbing and heat. We stayed in one of the oldest cabins on the property — the Bjoerkmans, named for the Scandinavian miner who built it. A woodstove keeps the cabin cozy and, with a river on one side and a waterfall on the other, it is incredibly peaceful. The resort’s cabins surround a main building that serves family-style meals, with guests being summoned by a large bell tolling from the roof. Word has it that Butch Cassidy and the Sundance Kid robbed their first bank in nearby Telluride, and after eluding authorities ended up at the saloon in Dunton. 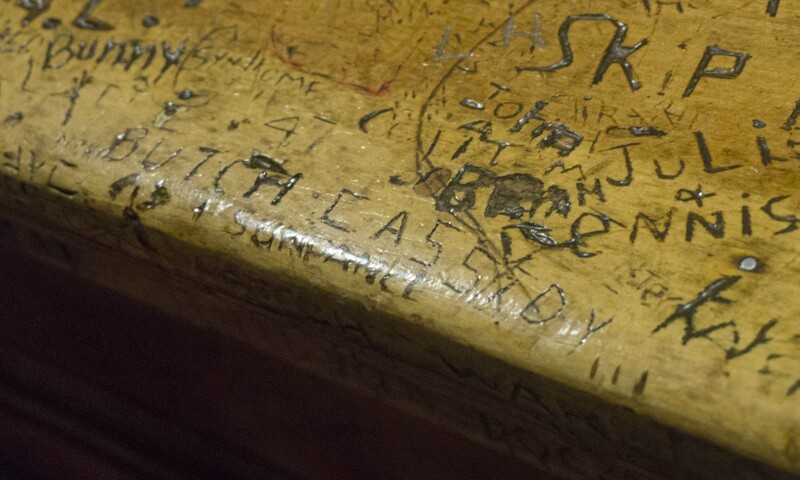 The original bar remains in the saloon and — believe it or not — the names of the infamous outlaws are carved into it. This combination of history, folklore, luxury and outdoor adventure makes Dunton a prime location to spend some time in the luxurious Bentley Bentayga. We enjoyed a few days with the big SUV, testing it on twisty roads, narrow gravel paths and rough mountain tracks and came away quite impressed. 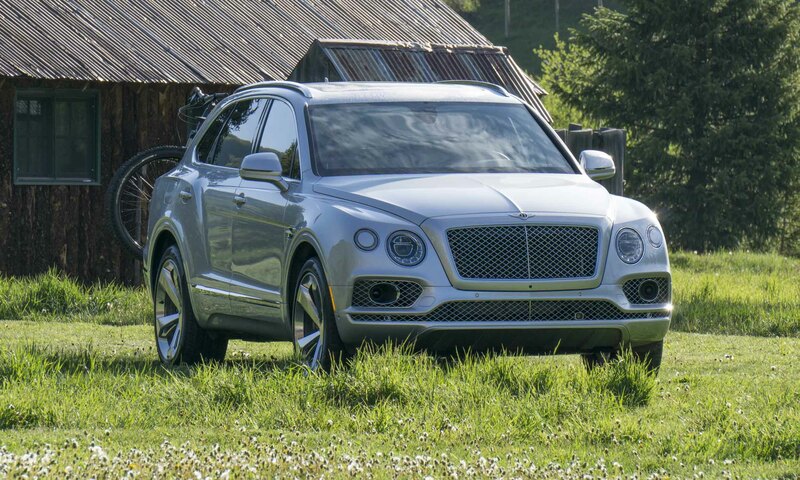 Premiering last fall, the Bentayga is Bentley’s first foray into the lucrative SUV market. As expected from this legendary British marque, the Bentayga offers extremes in both luxury and performance. Like any other Bentley, the Bentayga can be configured with countless paint colors, leather hides and luxurious features. For those looking for complete customization, just about anything can be handled by Mulliner, the brand’s bespoke coachbuilding division. Prices for the Bentayga start around $200,000, but with so many different configurations and options it is difficult to enumerate specific trims. 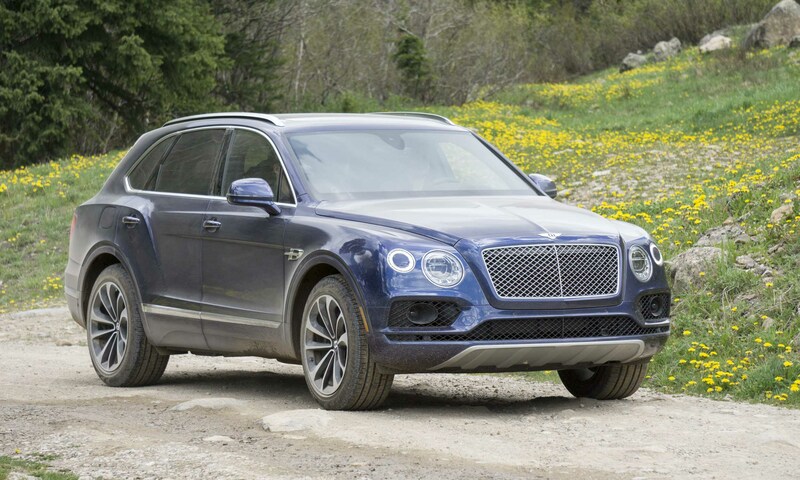 That said, every Bentayga comes with full leather seating and a choice of 15 different hides, air suspension, LED active headlamps, a panoramic sunroof, soft-close doors, Wi-Fi connectivity and an 8-inch touchscreen display with navigation, voice control and a 60-gigabyte hard drive. 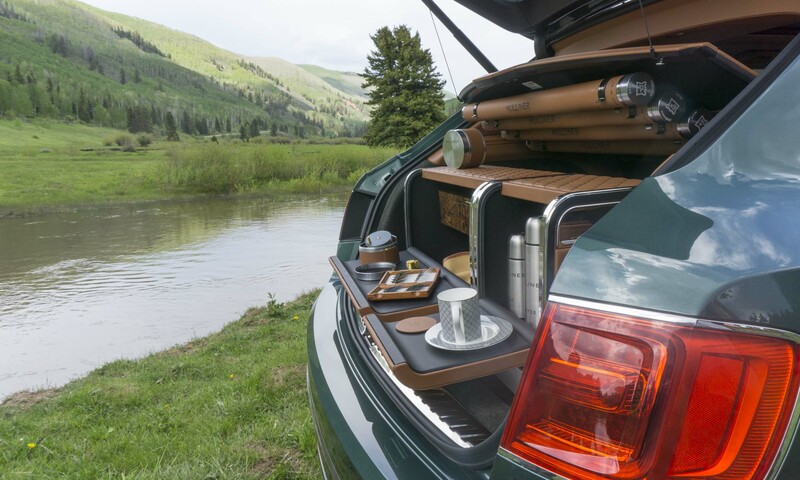 Showcasing how the Mulliner division can create just about any type of special edition a customer desires, Bentley brought this unique Fly Fishing edition of the Bentayga to Colorado. The cargo area has been reconfigured to carry three individual, saddle-leather-trimmed units: a master tackle station; a refreshment case; and a waterproof wader-stowage trunk. Above are four leather-trimmed tubes for fishing rods, and Burr Walnut veneer drawers in the tackle station house all equipment needed for a day on the river. 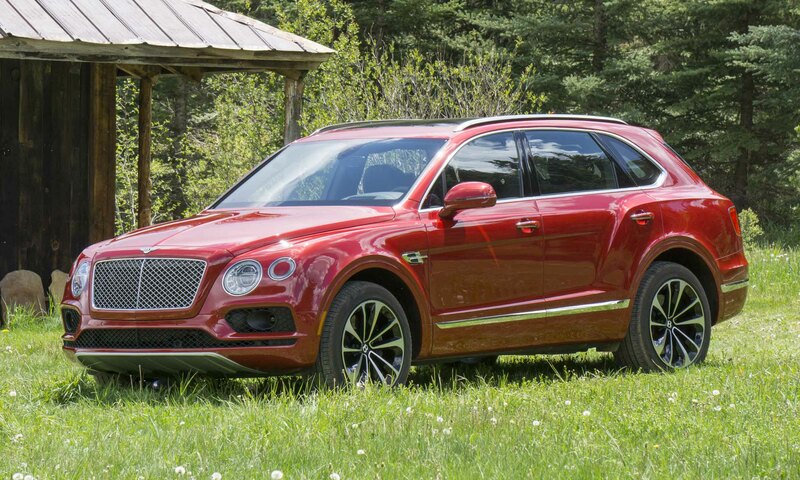 Only two of these vehicles exist, and Bentley reps report that the fly-fishing equipment alone adds about $100,000 to the price of the Bentayga. Sitting in any Bentley is undoubtedly a nice place to be, and the Bentayga is no exception. Front seats are big and supportive with multiple available adjustments. 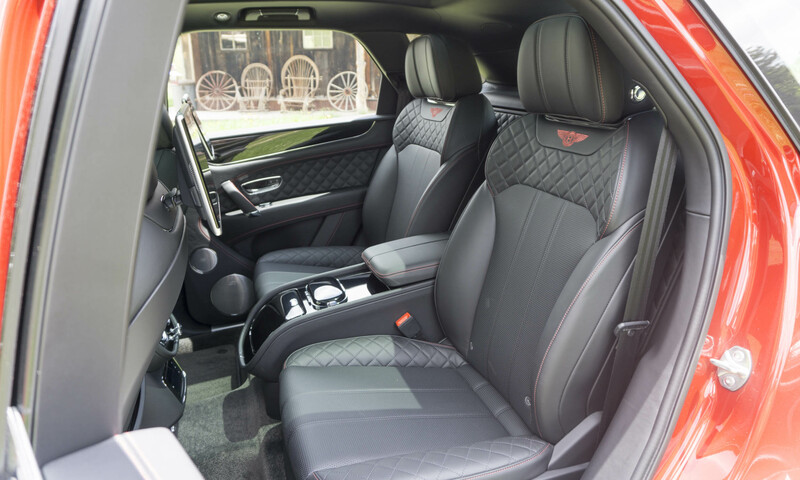 The leather seating surfaces are ultra-soft with diamond quilting, contrasting stitching and a pillowlike headrest. Leather door and dashboard surfaces can be highlighted by a variety of wood veneers. There’s plenty of legroom in the rear seat, and it can be configured to carry two or three passengers. Although the three-passenger setup is quite spacious, the individual bucket seats (Four Seat Comfort Specification) are much more luxurious. Seats can be adjusted in 18 different ways with heating, ventilation and massage functions. The center console offers cupholders as well as a sunglass holder and additional storage. The console can also be equipped with a bottle chiller and receptacles for two handcrafted Cumbria Crystal champagne flutes, and an illuminated bottle chilling ring. 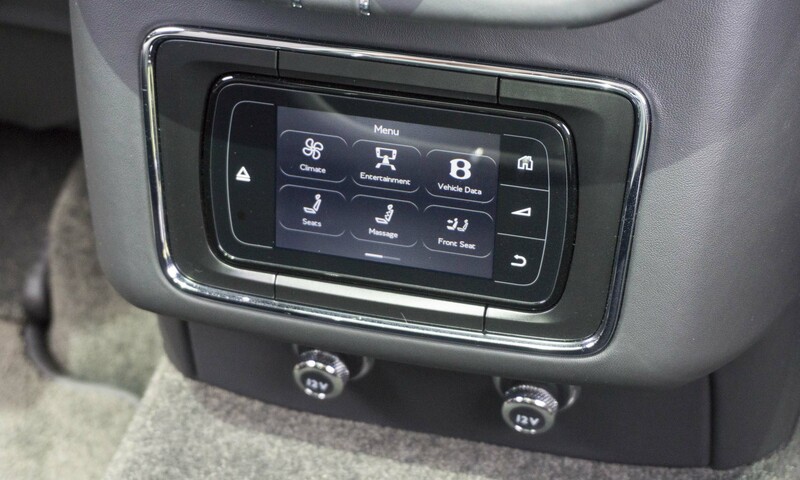 A display between the two rear seats allows passengers to access climate control, entertainment features and vehicle data. 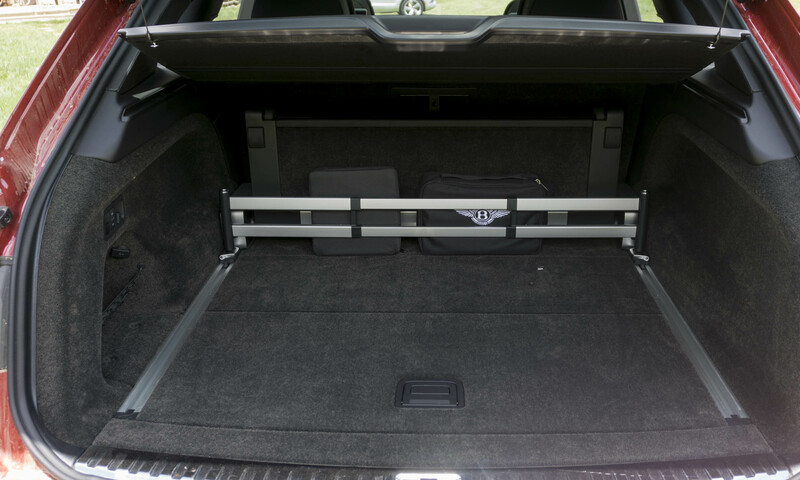 The Bentayga has plenty of room for multiple pieces of luggage in the cargo area, and Bentley adds a unique track system that makes it easy to secure cargo of different sizes. A bar extending across the floor can be locked in at any distance from the rear hatch. 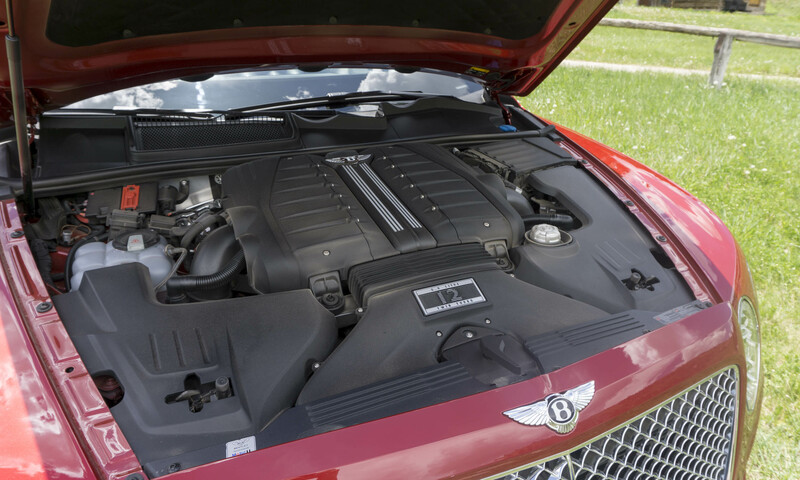 Powering the Bentley Bentayga is a 6.0-liter twin-turbo W12 engine producing a plentiful 600 horsepower and 664 lb-ft of torque. 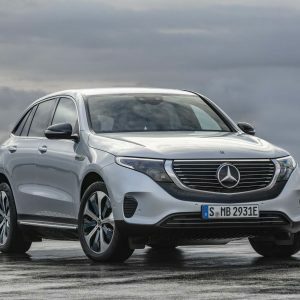 A diesel engine is available in Europe, but currently there are no plans to bring it to the U.S. An 8-speed automatic transmission directs power to all four wheels via a permanent all-wheel-drive system. 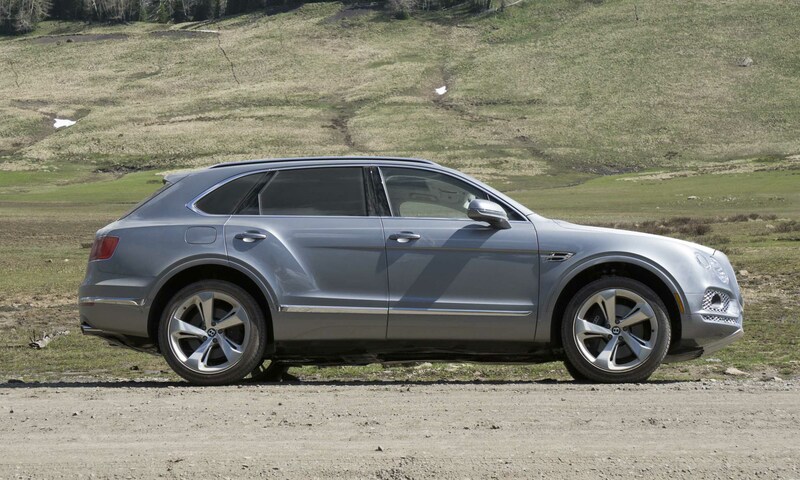 Performance stats for Bentayga are impressive – even more so when you consider the SUV weighs in empty at 5,379 pounds. Sixty mph comes up in just 4 seconds and — given a closed course with enough straight-line surface area — the Bentayga will reach 187 mph. 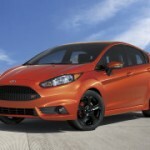 Fuel economy is not as bad as we would have expected; EPA ratings are listed at 12 mpg city / 19 mpg highway / 15 mpg combined. These seem realistic — we registered close to 20 mpg after a few hours at highway speeds. As with every other Bentley we’ve had the opportunity to drive, the Bentayga provides an extremely solid, comfortable ride. Double-pane windows add to the quiet atmosphere, and doors provide a satisfying “thunk” when closing. With all that power on tap, acceleration is seamless — passing other vehicles on two-lane roads is a breeze. 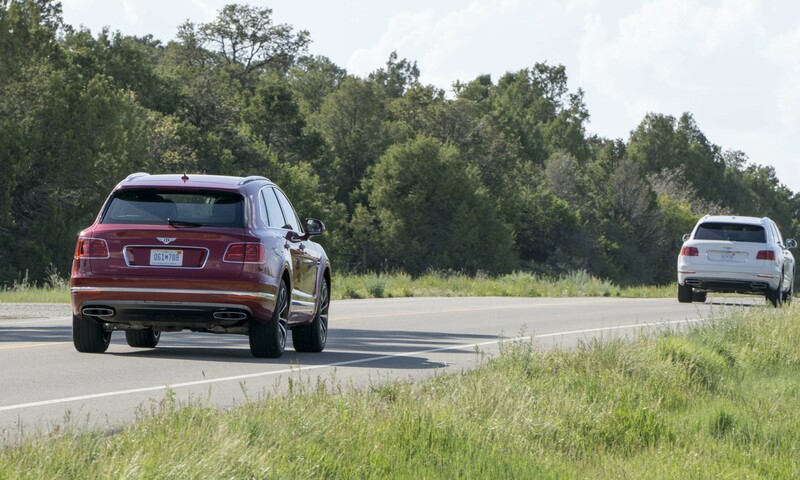 With its full-time all-wheel drive, the Bentayga always feels stable, even when speeds reach into triple digits — which is easy to do if you’re not paying close attention. 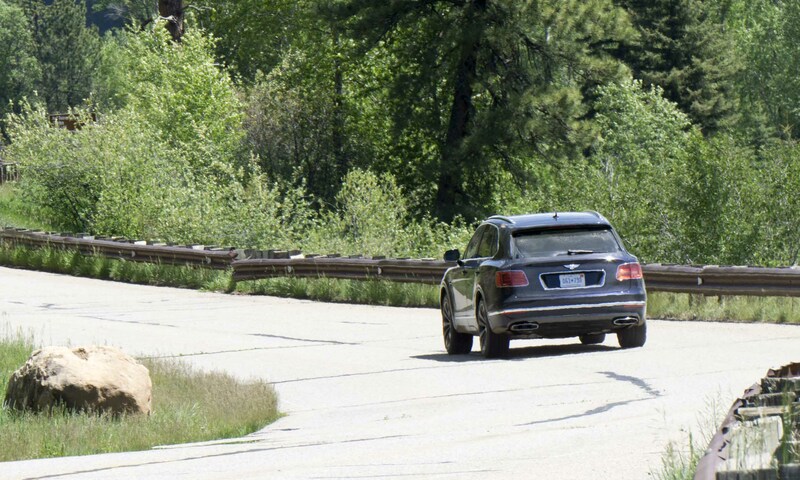 Most surprising is how well the Bentayga handles twisty roads. 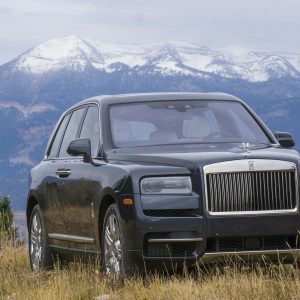 We spent a fair amount of time on backroads outside Durango, Colorado, and the big SUV was quite agile, handling long sweeping turns and tight switchbacks at speeds typically reserved for lighter sports cars. Steering is a bit light, but feedback is consistent. Bentayga is also equipped with the latest safety technology, including blind-spot warning, lane keeping, adaptive cruise control and emergency braking. 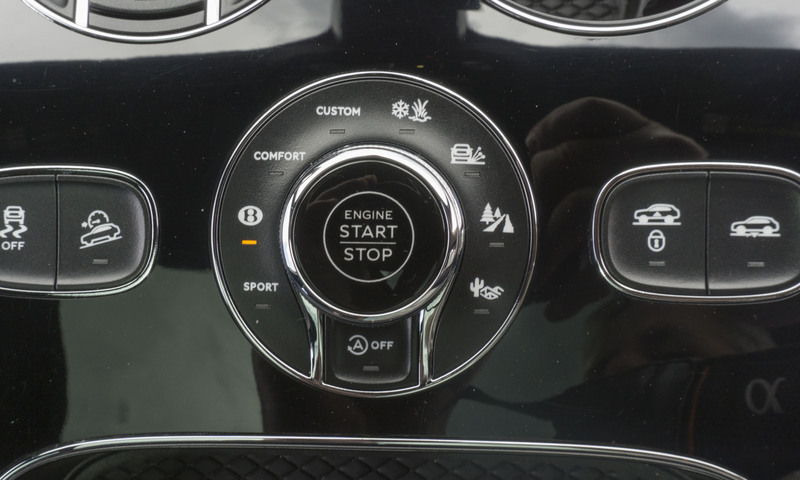 However, the warning lights indicating a vehicle in front of the Bentayga continued to flash even if there was no apparent danger and, for those who like to drive fast, the speed limit sign in the dashboard continues to flash if the limit continues to be exceeded — which can become quite bothersome. A dial in the center console allows the driver to choose from a multitude of driving modes for both on- and off-road adventures. 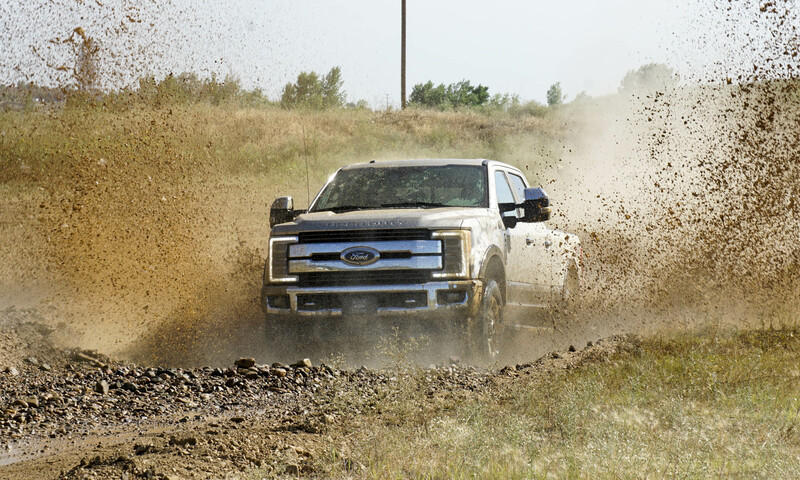 Modes include Sport, Comfort, Mud & Ruts, Sand, Snow and more — these adjust the power, suspension, transmission shifts, stability control and even the ride height to optimize for the selected mode. There is also “Bentley” mode that makes adjustments as it detects different driving conditions. The difference between modes is quite noticeable, especially if drivers are in the wrong mode. 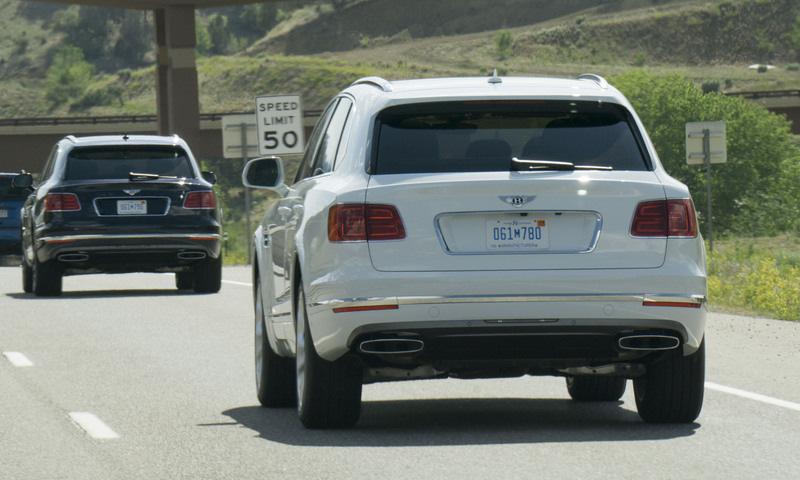 We placed the Bentayga in Sport mode for better performance on the twisty roads — shifts occur quicker and at a higher rpm while the suspension and steering tightened up. However, when the road changed to gravel the vehicle suddenly felt loose and harder to control. 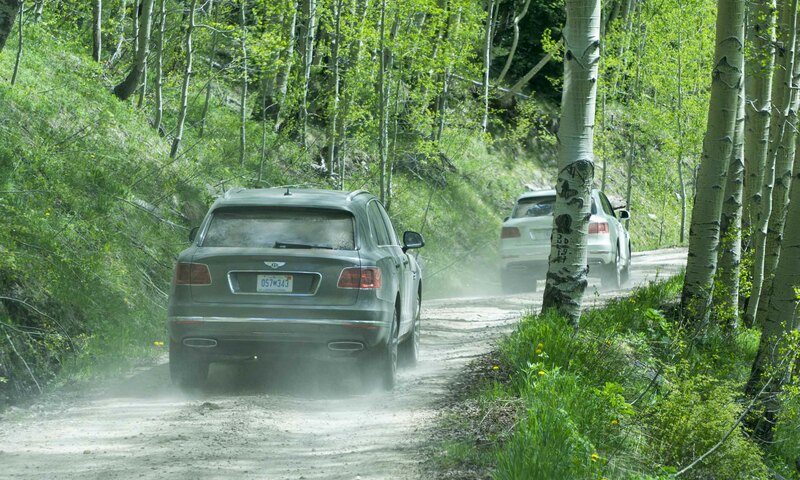 Shifting back to Bentley mode improved the feeling on gravel immensely. We also had the opportunity to take the Bentayga for some light off-roading — pitted gravel roads with some rocks and mud as well as some rather deep holes. 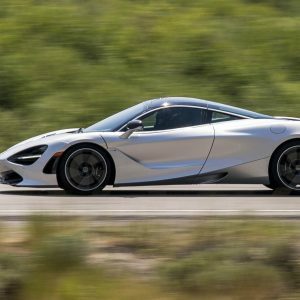 The ability to raise the suspension alleviated any fear of causing damage to our beautiful test vehicle. Even on rougher roads the ride is very smooth within the cabin, and the all-wheel-drive system works seamlessly. 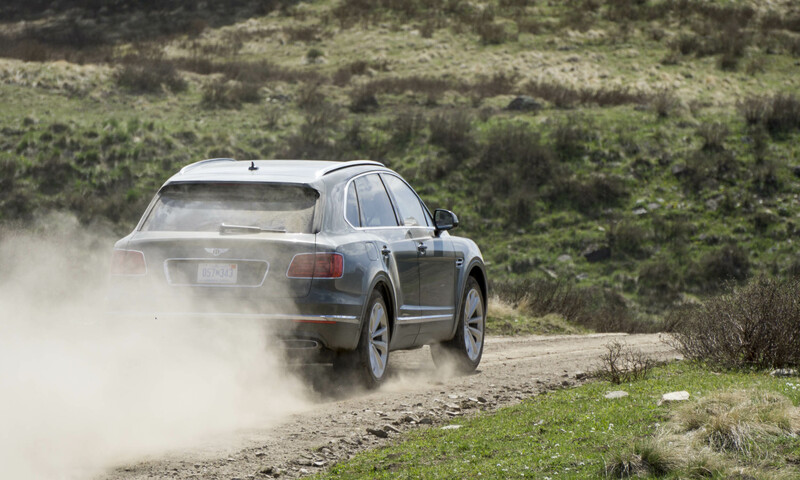 That said, we suspect most Bentayga owners will not venture much off pavement. 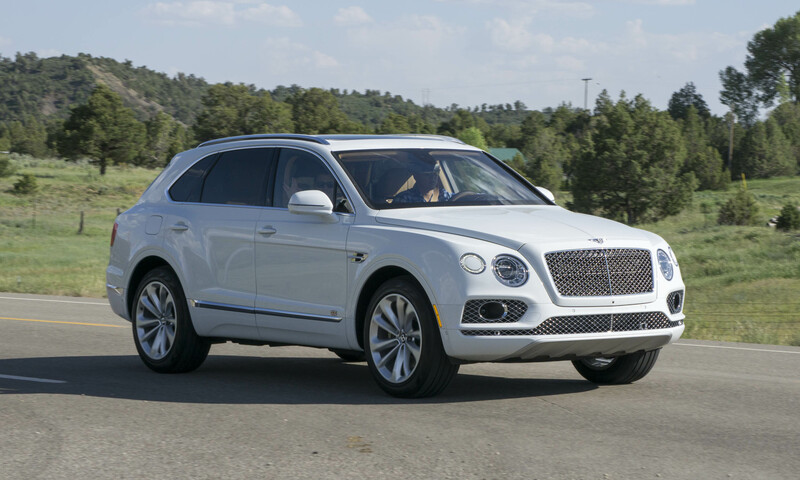 With a price starting in the low $200,000 range, clearly the Bentayga is not for everyone. 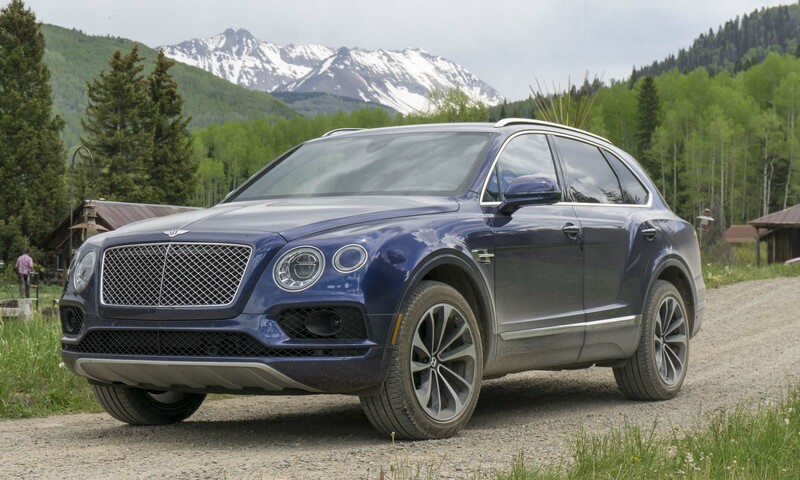 However, with its luxurious interior, solid ride, outstanding performance and room for plenty of luggage, the Bentayga makes an excellent alternative to the more common ultra-luxury sedan. 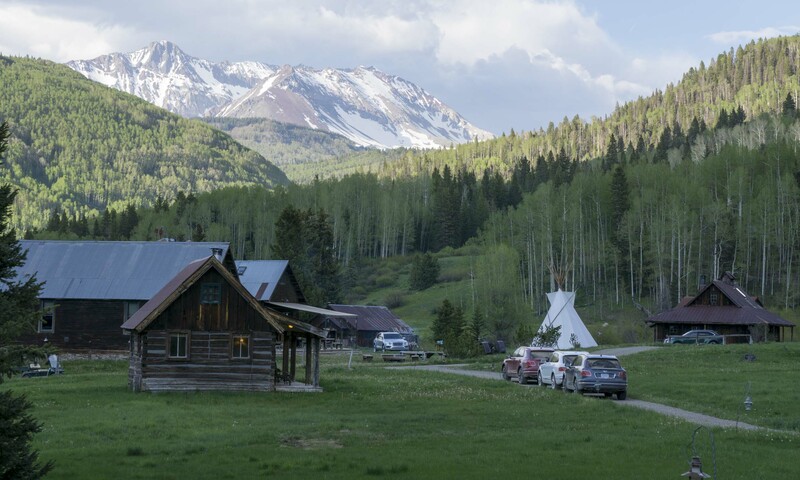 Add to that the fact that Bentayga is designed to handle difficult on-and off-road conditions and there really isn’t a better way to enjoy the great outdoors — especially a place such as Dunton Hot Springs. 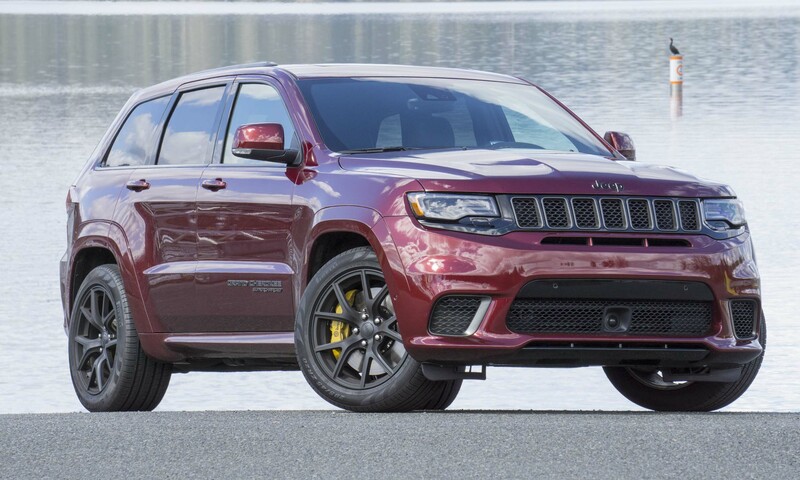 Pros: Outstanding Performance; ultra-luxurious interior; infinitely customizable. Cons: Excessive warning lights in display; controls can be confusing. 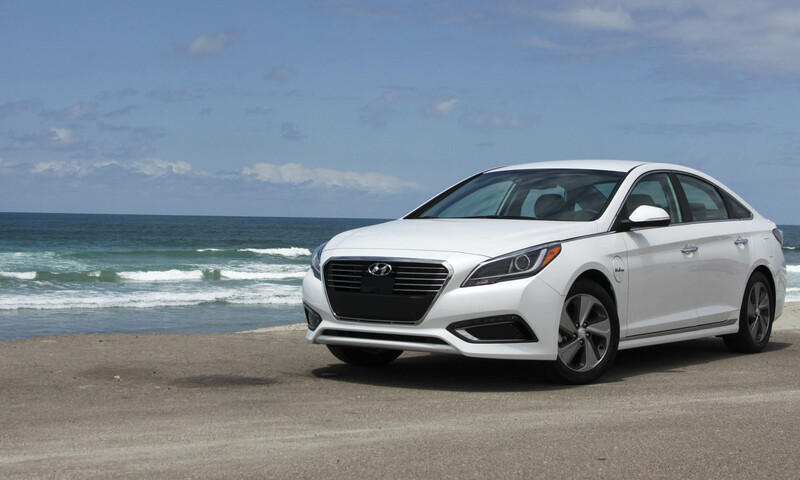 Bottom Line: An excellent synthesis of ultra-luxury, performance and capability.